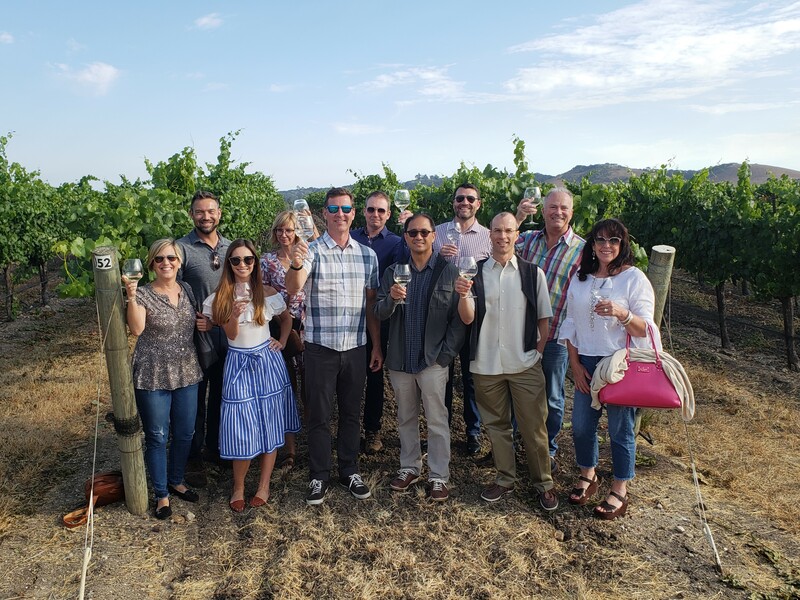 How would you find learning about the dry eye syndrome in a beautiful lush surroundings of a vineyard on the California Central Coast? Surreal, right? While the two might not have a visible connection, the beautiful setting of expanse of green and then enjoying the wine tour, tasting, and dinner will leave you asking for more. Dry eye affects people in the higher age bracket the most. An estimated 3.2 million women over the age of 50 and over 1.68 million men over 50 years are affected by this. As per Gallup’s survey done in 2012, 26 million Americans suffered from this condition and it is estimated to go up by 3 million more by 2022Dry eye syndrome or keratoconjunctivitis sicca (KCS) results in the loss of homeostasis of the lacrimal function unit. This can lead to itchiness or a scratchy feeling with stinging or burning, excess tearing, and blurry or fluctuating vision. Scott E. Schachter, O.D., Founder – Ocular Surface Academy and the Facebook group, OSDocs has taken a unique step in this direction to keep people engaged and involved in this conversation. He has created a special program for doctors in this field who can learn the various treatment protocols created by Dr. Schachter himself in a relaxed setting. Named as one of 8 US Global Ambassadors for the Tear Film and Ocular Surface Society, he has made it his mission to ensure that this disease can be uprooted with greater awareness and involvements of the patients and can be minimized. In his mission, Dr. Schachter has recorded a YouTube video as a part of a series in 2013 which has over 120,000 views. He is an acknowledged researcher with a paper published on demodex blepharitis in 2013. He takes his profession seriously and feels that Optometry is a field where you leave your patient feeling happy once he can see better. His practice culture is for patients to look better, feel better, and see better. One way to do this is to simplify the approach to ocular surface disease. To give a platform to his endeavour, Dr. Schachter has started Ocular Surface Academy as a combination of dry eye education and wine tourism. It was born from the idea that education can be a fun experience. The wine country of the California Central Coast is a beautiful setting. The goal is to provide doctors with practical knowledge, easy-to-digest and to implement, in order to enhance patient care in their practice. It is a small group format with hands-on experience for professionals. The day starts with a two hour educational session followed by breakfast at a winery with a gorgeous view. Dr. Schachter shares his approach to Ocular Surface Disease and helps the doctors learn to streamline dry eye protocols, how to screen, diagnose, prescribe, and treat. A simplified process of this implementation is taught. In addition, doctors are encouraged to bring a key staff member where they can learn from more about ocular surface disease, as well as the latest diagnostic and therapeutic options. Doctors should be able to implement a new protocol on their very next patient. Post adjournment 4 PM, Doctors and staff meet at the winery around 6 PM for a wine tour, tasting, and dinner. The central coast is known for beaches, hiking, vineyards and other outdoor activities. The Academy is usually on a Saturday allowing attendees to enjoy a weekend here. Spouses are encouraged to join for the wine experience and dinner. With a list of attendees that will not just treat but also transfer this knowledge to their patients, The Ocular Surface Academy is on its way to minimize the prevalence of the dry eye syndrome in the American public.